Due to constantly rising traffic on the internet, hiring a professional consulting agency for SEO services has a vital role to play. If you need good online presence of your business, trust our specialist advertising campaign provider team who can design SEO and PPC campaigns for your websites for better ranking on search engines like Google, Yahoo etc. For advertising, selected adwords support are synced on various sites across the internet to increase more traffic to your website and boosting your sales. For economical advertising and instant results of your advertising investment, we have a PPC or Pay Per Click model for you. By this, you pay only if a there is a click on the link and advertisement. 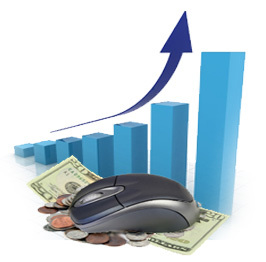 This assures you payment is proportionate to your earnings through clicks as this model works on the basis of visitors to your website. With enormous support of technology, we offer packages based on your requirement with our expert support provider and consultant teams. To have traffic that converts to business for different sites, you can count on our expertise of management campaign. Contact us for a quote.